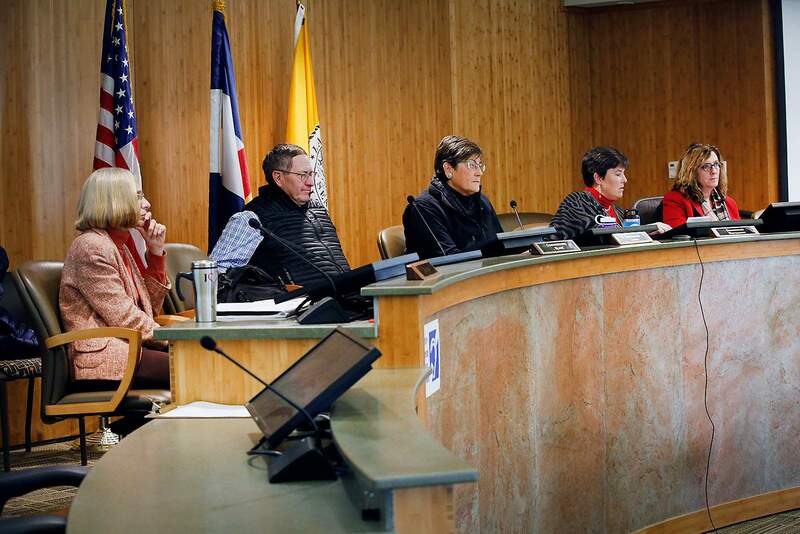 La Plata County commissioners on Tuesday unanimously approved the 2019 budget, which reflects a short-lived bump to county revenues. La Plata County commissioners on Tuesday unanimously adopted the 2019 budget, which will have an increase in projected revenues for the first time in years as a result of higher natural gas prices in 2017. Projected revenues are expected to hit an estimated $73.6 million, up 6.7 percent from 2018. Expenditures in 2019 are also expected to increase to $91.1 million, up 14.7 percent from 2018. The majority of La Plata County’s spending increases are attributed to one-time purchases, which account for $23.2 million of the county’s expenditure budget. County Manager Joanne Spina said the money is being used out of funds put aside for the last 20 years when oil and gas revenues were high in expectation of future needs, mostly department office space. Projects will include: a new building to house the assessor, clerk and treasurer offices; remodeling the lower La Plata County Courthouse; remodeling the Armory Building; and moving La Plata County Search and Rescue into a permanent location at the Armory Building. “(These projects) will set us up for years to come,” Spina said. Operating costs also increased almost 9 percent from 2018 to account for $20 million of the county’s expenditure budget. Personnel costs decreased from 2018 by about $105,500 – accounting for about $30.9 million of La Plata County’s total expenses. The county plans to leave 21 positions vacant to cut costs. The increase to the county’s revenue, however, is expected to be short-lived. County officials worry the 2020 budget could have dramatic decreases to its operating budget as a result of low prices for natural gas in 2018, which will be reflected in the 2020 budget, and the implementation of the Gallagher Amendment, an expected $650,000 cut to the county’s revenue. La Plata County commissioners also unanimously appointed Assistant County Manager Chuck Stevens as interim county manager, effective Jan. 3. Stevens will take over as interim county manager as Spina is set to retire Jan. 2. The county will look for a new manager starting at that time.